The Attorney General just confirmed that the Obama administration and Deep State did spy on the Trump campaign and transition team. Except instead of appointing a Special Prosecutor, Barr's plan is to let the Deep State investigate itself. We have never been so close to holding these traitors accountable. But the establishments of both parties are desperately trying to sweep it all under the rug. You CANNOT let them do this! Please, send your urgent FaxBlast to Congress right here and FORCE them to appoint a Special Prosecutor and fully investigate these Obama administration criminals before it's too late! 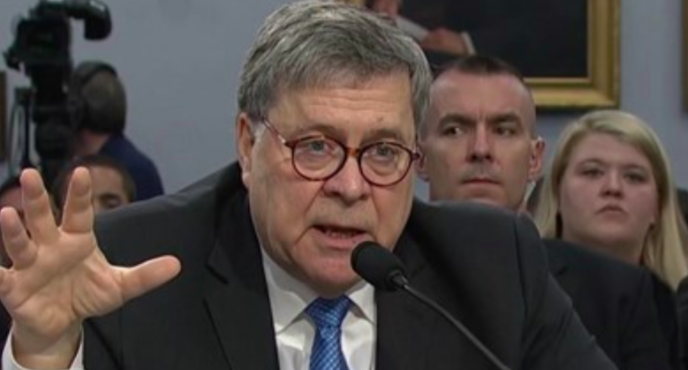 Yesterday, Attorney General Barr admitted what we've known for a while: the Obama administration and intelligence establishment did spy on the Trump campaign and transition team. They engaged in surveillance and used that illegal spying to launch a criminal investigation without any real evidence or justification. Robert Mueller's report concludes that there was no evidence of collusion. If there was no evidence of collusion at the end, there certainly wasn't evidence when the witch hunt started. So how was the Obama administration able to launch a surveillance operation against a political opponent? How was Peter Strzok and Andrew McCabe able to launch their "insurance policy" to stop Trump from governing? How much did the Obama White House know and when did they know it? Barr testified yesterday that he is tasking DOJ officials with looking into all of this. That is not good enough. The Special Counsel statute exists to pursue justice when the DOJ and FBI cannot be trusted to investigate on their own. The fact that Robert Mueller was even appointed in the first place was a disgrace. But the fact that YOU have been sitting on all of this evidence for over a year is what is truly criminal. The Attorney General admitted in an open Congressional hearing that the Obama administration spied on the Trump campaign and transition team and half of your colleagues are demanding that he recant or resign because it goes against their "collusion" narrative. You need to force the appointment of a second Special Prosecutor to investigate these claims. After the entire Mueller investigation, the only new crimes that were uncovered were committed by Democrats and Obama administration officials. This evidence has been in your hands for almost two years. Now that we know that the collusion narrative was a lie, you have a duty to get to the bottom of how this witch hunt started. You have an obligation to hold these criminals accountable. Put your partisanship aside and engage in real oversight. Force the appointment of a Special Prosecutor and investigate these Deep State criminals. If you won't do this, then I have no choice but to consider you a co-conspirator... and I will act accordingly.